This is the New Jersey fireplace mantel. It has potted flowers on the frieze and plants below the corbels. A decorative marble surround that is hand carved. A fancy mantel with ornate details. Remember to visit our showroom fireplace store. Typical Dimensions: 68″ wide x 54″ high *can be made to custom dimensions. 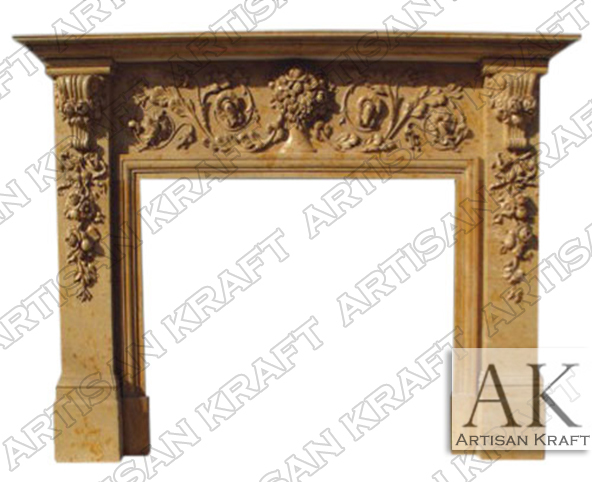 Stone: Cream marble, limestone, cast stone fireplace New Jersey, limestone, sandstone, marble etc. Available in many different colors, textures and finishes.